The trees only just gone up, you’ve done nothing apart from demolish a family-sized tin of Quality Street and there are 10 days until Christmas. I totally get it. I’m not even going to introduce this blog post because frankly there’s no time. Let’s get on with this, shall we? *Oh, but DISCLAIMER: this post is full of a combination of products sent to me to review throughout November and December along with some things I’ve picked out specially for friends and loved ones. So, if you happen to fall into either of those two categories please look away now or risk Santa bursting into flames inside your chimney. Seriously. Megan. Laila. MUM. LOOK. AWAY. NOW. 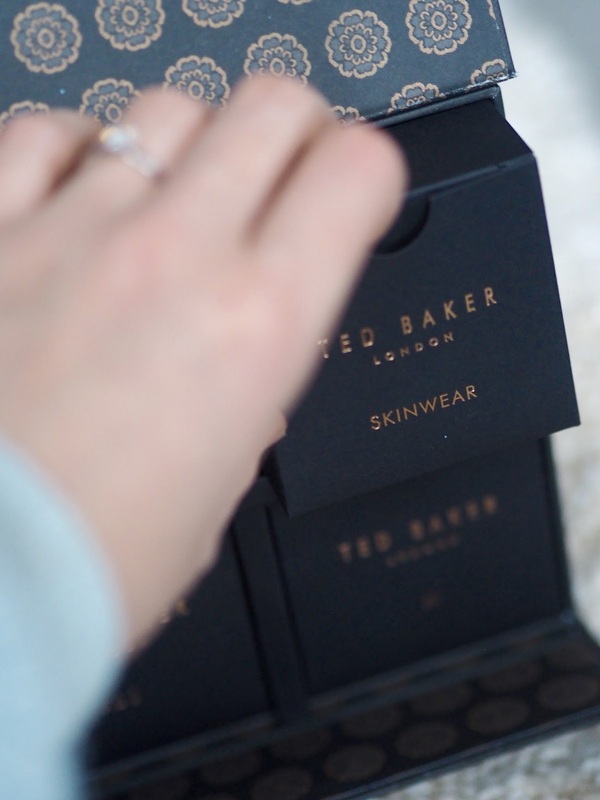 A gift set from Ted Baker at Christmas is like the pretty girl-next-door coming over unexpectedly to borrow an egg and then staying for the whole afternoon. Too good to be true, right? This is a weird metaphor. I’ve made it weird. What I meant to say was that this perspex gift bag (which could totally double as a holiday clutch bag) has three sensual and beautiful handbag essentials inside it. The little bag with its rose gold zip and signature Ted Bakeryness is a treat I can’t get enough of. Bonus: the products inside are all under 50ml, so they would be a lovely gift for someone who travels a lot. Because I can’t leave that weird girl-next-door metaphor hanging, the cute boy-next-door exists in this gift guide too. He comes in the form of four miniature fragrances in what Ted is so cleverly calling a cabinet of curiosities. Because the cute guy next door is so….oh screw it. It’s a real cabinet! Look! 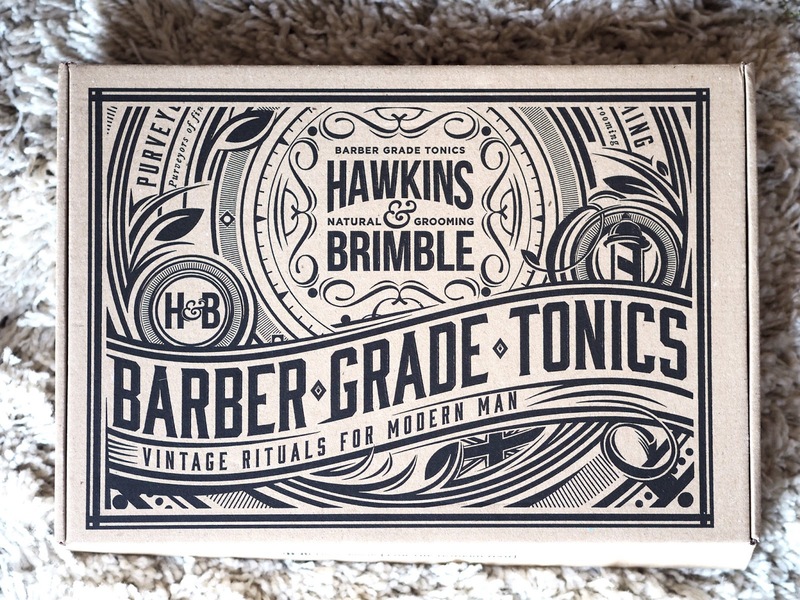 This is a gorgeous gift for a fussy man in your life. Or the boy next door. You know, whatever. The miniature fragrances are packaged beautifully inside branded black tissue paper and placed inside their own little black gift boxes. Since buying a house, I have had little to no money spare to spend on little luxuries. I just can’t justify it when a pipe under the sink’s been leaking for two weeks and lets face it I’m saving for a puppy wedding. I don’t think I’m the only one to occasionally deprive myself of being pampered due to limited funds, which is why I think Christmas is the perfect time for giving things like pure essential oils and floating petals. This isn’t just any body and massage oil, it’s a multi-purpose, 100% natural oil that can be used on face, body, hair and nails. It claims to transform problem skin, brighten and promote deep healing. 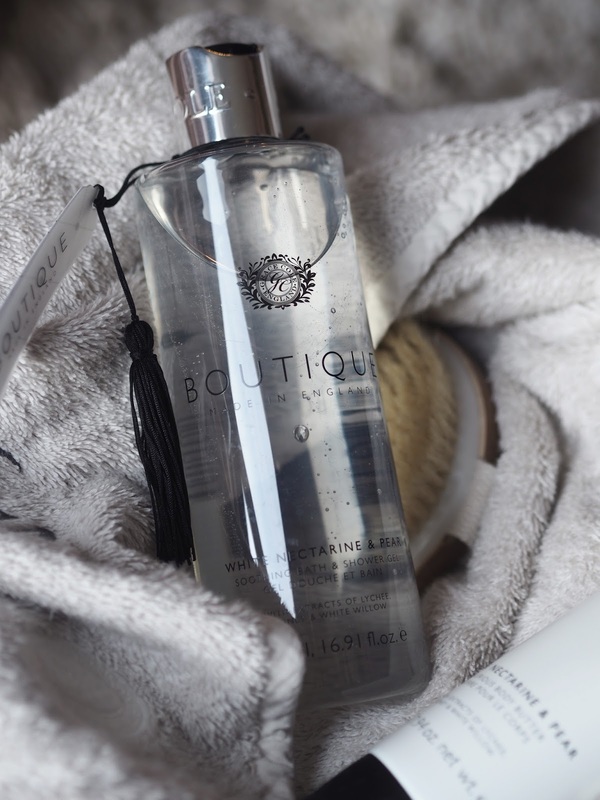 It is a cleanser, a massage oil, a bath oil and a moisturiser in one gorgeously filled bottle. In other words, it’s pampering at its best. I’ll take two please. We all know that one guy who belongs in a different era – one of wooden shaving brushes and gentlemen in tweed. 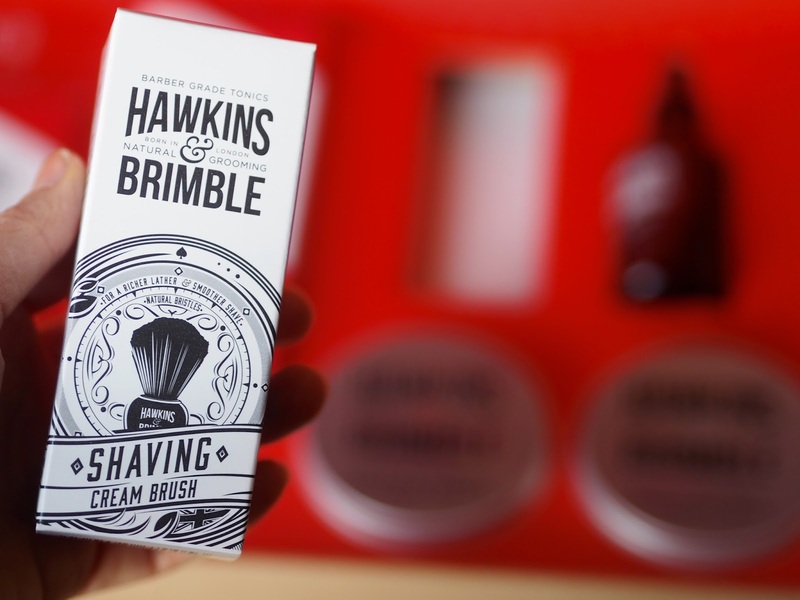 This gorgeous, traditional shaving kit is something truly special for the modern man who prefers to indulge in a spot of vintage grooming. 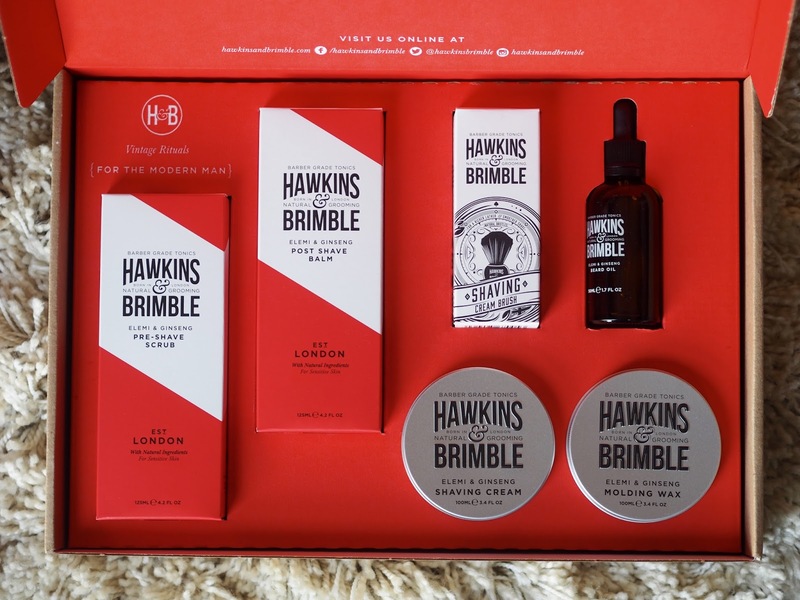 Hawkins & Brimble is a new British brand all about giving guys a luxury ritual inspired by tradition – a simple and effective answer to modern grooming. If he’s into classic styling then he’ll love this. The whole box is so inviting from the outside and even better when you’re greeted with a vibrant red interior and crisp white and red product packaging. It is unfussy and sophisticated, and I know my fiancé is going to love it. It’s currently on sale here. I couldn’t not include this gorgeous luxury gift set by award-winning bath and body experts, Grace Cole. They are doing 4 gift sets for Christmas and each one is beautiful and affordable. The Just For you Gift Set includes a 500ml body wash and a 225g body butter, which is diviiiiiiiine. Grace Cole are a family-run business just outside of Manchester and alongside their luxury Christmas gifts they have a range of stocking-filler ideas like these adorable travel miniatures for £8. Or this bath soak for £6. 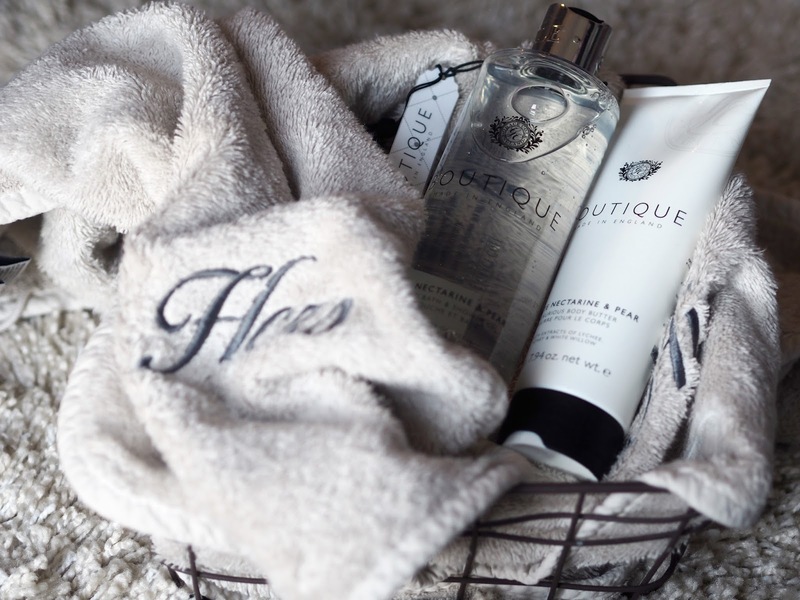 Their products look GREAT in the bathroom too, and so much more expensive than they are. A couple of products from their skincare range would make for a great gift for friends and sisters. 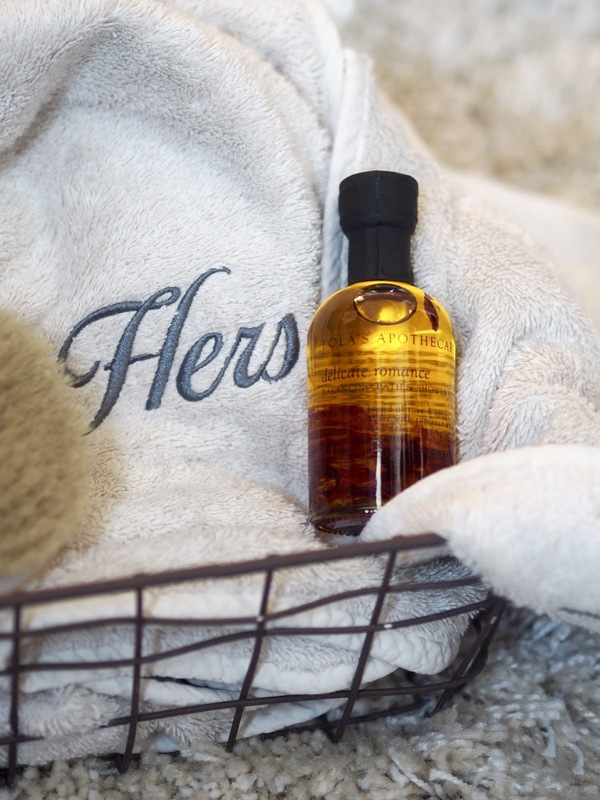 For the whiskey admirer in your life, this is a charming gift that an old soul will love. Woodford Reserve has partnered with Tipplesworth, a cocktail accessory specialist, to create gorgeous Christmas gifts for cocktail lovers. 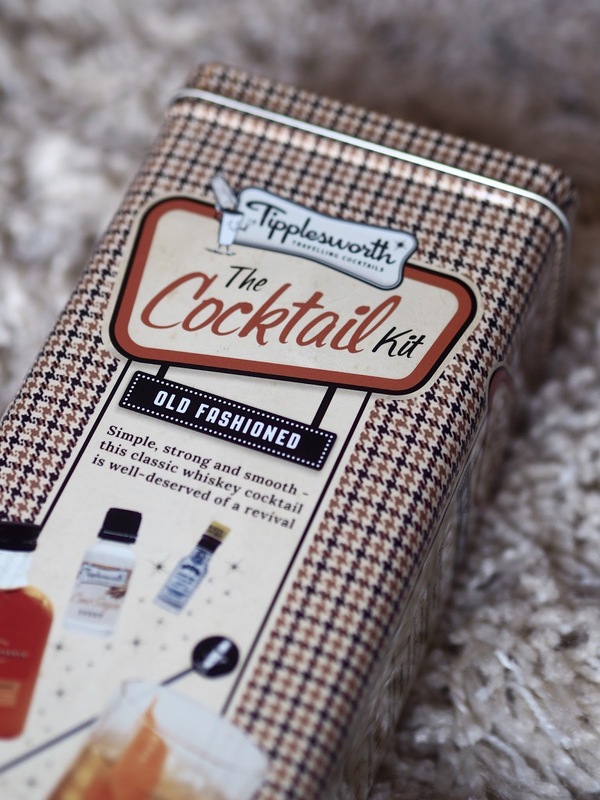 This particular set is focused on The Old Fashioned – a simple cocktail made with Bourbon, bitters and sugar. The kit includes everything you need to make two, along with the accessories vital to reviving the authenticity of a classic. 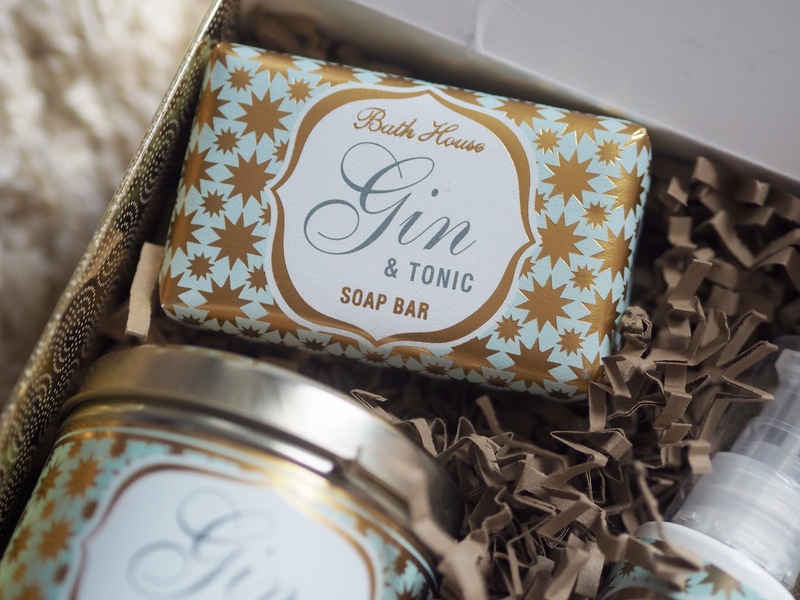 I’m pretty sure this is a gift that would suit ANYONE, but if their tipple of choice is a gin & tonic then you know you’ve nailed it. I’m thinking mums, sisters, besties – you get the idea. 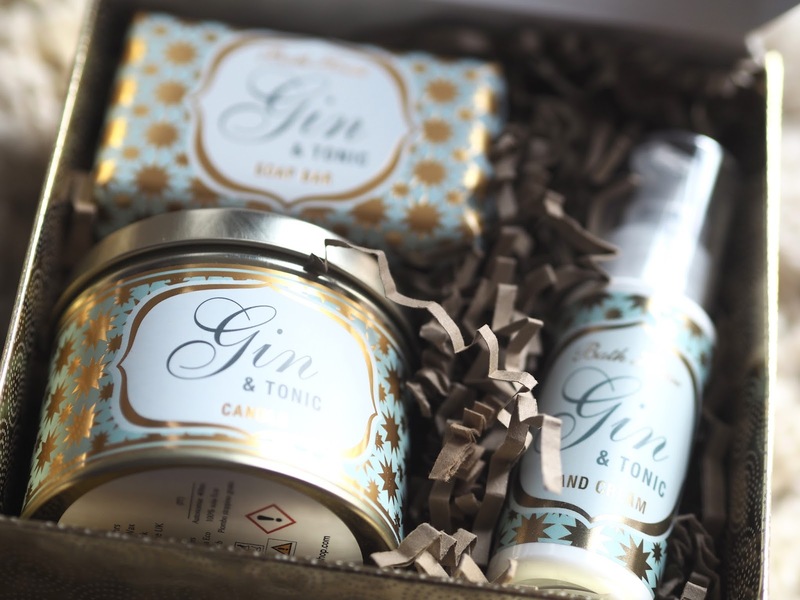 The set includes a hotly anticipated Gin & Tonic scented candle (which on it’s own is worth £15 so the gift set is great value), 100g scented soap and a 50ml tube of refreshing Gin & Tonic scented hand cream. It’s a good one for making someone laugh whilst also treating them to a spot of luxury. 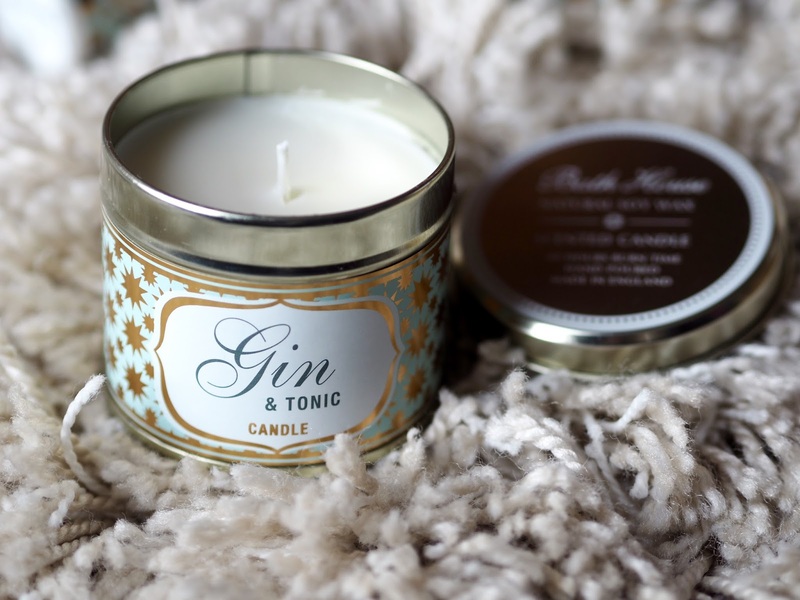 Bonus: the candle burns for 40 hours and uses 100% eco soy wax. Okay. I’m borderline obsessed with this sweater. My best friend has two beautiful little kittens in her life (carrot and crumpet) and when I saw this sweater I knew she needed it for weekend snuggles. 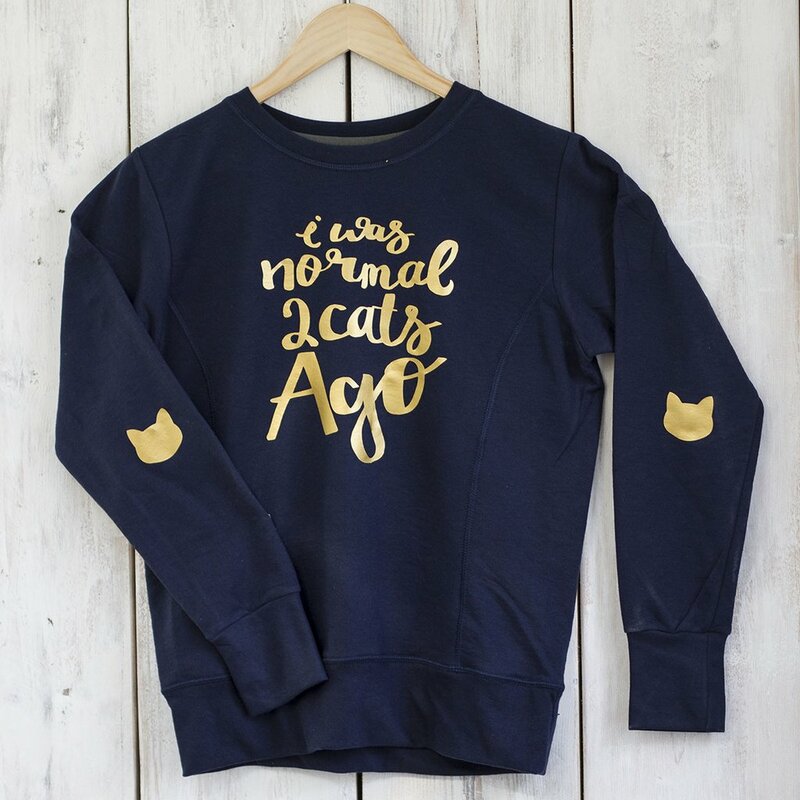 The tongue-in-cheek gold print on the navy sweater looks gorgeous and the text is hilarious. Jess, talented owner of Squiffy Print, has informed me she is posting up until Christmas Eve, making her shop your new best friend when it comes to last minute shopping. This absolutely brilliant brussel sprout apron is another one I’ve picked up for a loved one. You can choose to personalise it with either, “lover” or “dodger” depending on your loved one’s affinity with brussels! Genius. 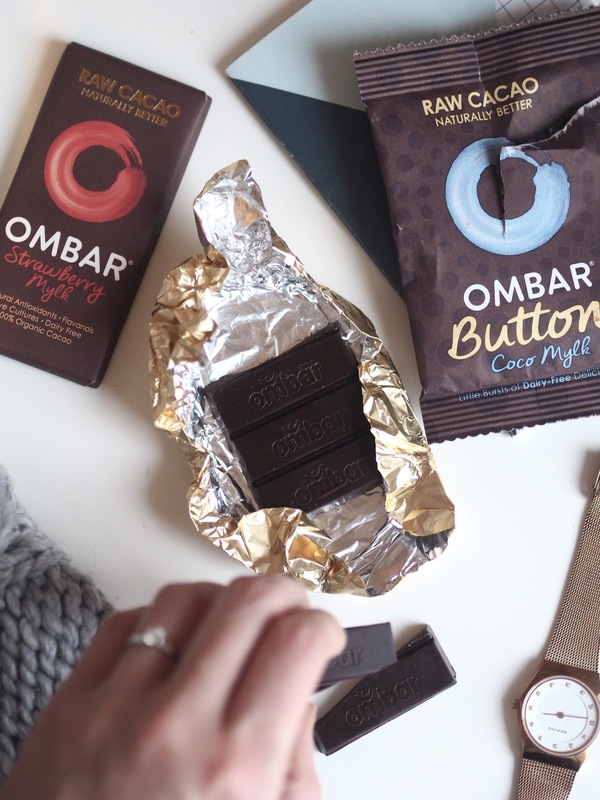 Organic, raw and 100% healthy, Ombar chocolate is the best raw chocolate I’ve ever tasted. For friends and loved ones who are on a bit of a health kick or enjoying a natural foodie lifestyle, this chocolate is a great stocking filler to replace the typical selection box. I’ve tasted a lot of raw chocolate and it’s hard to get away from that natural bitterness if you are not used to eating 100% organic cocoa, but Ombar manages to escape it with tantilaing flavours like Strawberry Mlyk and Coconut and Vanilla. Elizabeth Shaw’s After Dinner Range is the perfect accompaniment to any Christmas gift. 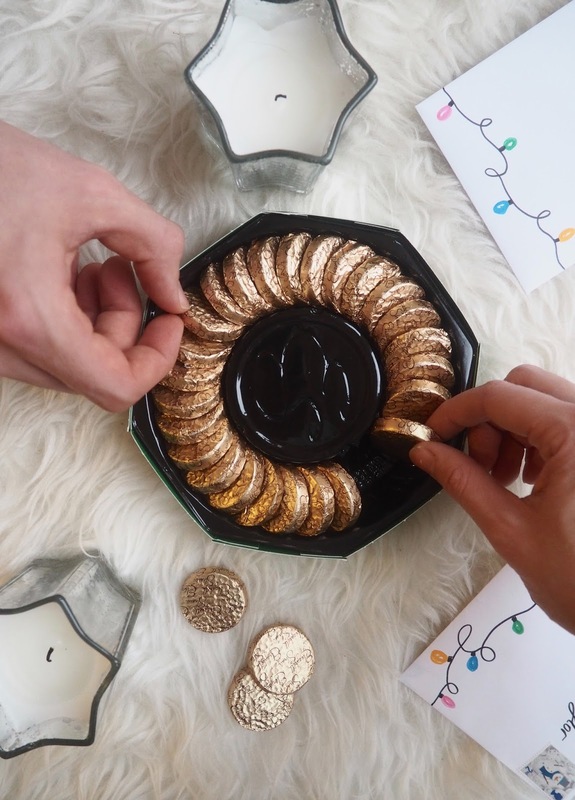 These luxury chocolates are insanely delicious and great for sharing after a roast dinner, when you know you’re full but have a little extra room for chocolate. Plus, look how pretty they are! I’m planning on having a few open on the table during Christmas and New Year celebrations for everyone to dip into. The mint chocolate box and salted caramel crisp are my favourites. For true luxury, I will always go for organic skincare because it feels like you’re really treating yourself. There are some incredible gift sets around at this time of year that are great value for money when you break down what it is you’re getting. 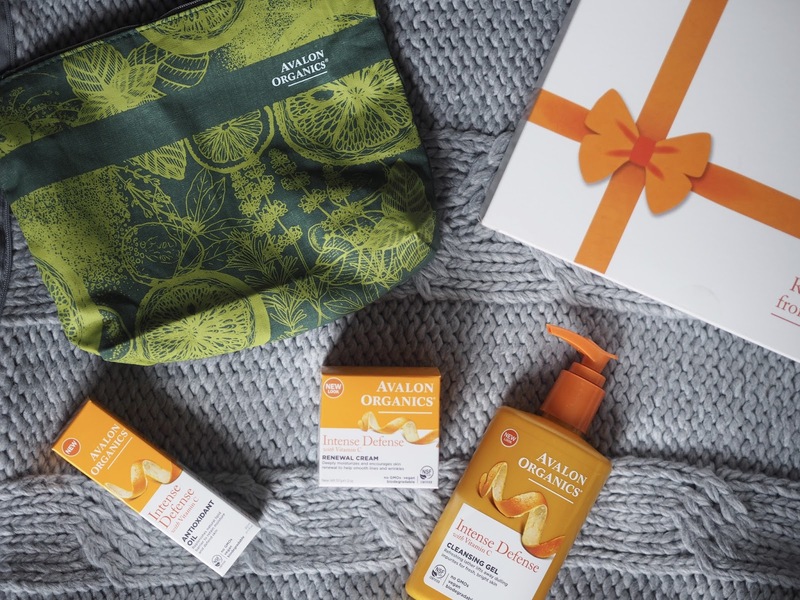 This one, by Avalon Organics is centred around the healing benefits of vitamin C.
In it you get a huge cleansing gel, a renewal cream and an antioxidant oil, each one infused with vitamin C, lemon and white tea to naturally boost collagen and elastin production. I’ve used vitamin C products in the past and they are great for banishing dullness. For a mum or special friend who is always looking out for others, this is a great gift to ensure she is looking after herself too. It’s easy to neglect your hands during the winter so I love to include a luxury hand cream in these sorts of posts. This is a great gift since it’s a trio of shea butter creams, each 60ml each and enriched with vitamin E and sesame seed oil. They smell incredible – I could smell the apricot vanilla fragrance before I even opened the packet. I am trying to be better at keeping a hand cream like this on me at all times, since my hands are often tired and aching due to full-time typing! This is a lovely way to treat an office worker or a crafty person who uses their hands all day long. I really hope this guide has inspired you! If it’s made you panic and hide under the coffee table with a second tub of Quality Street, that’s fine too.